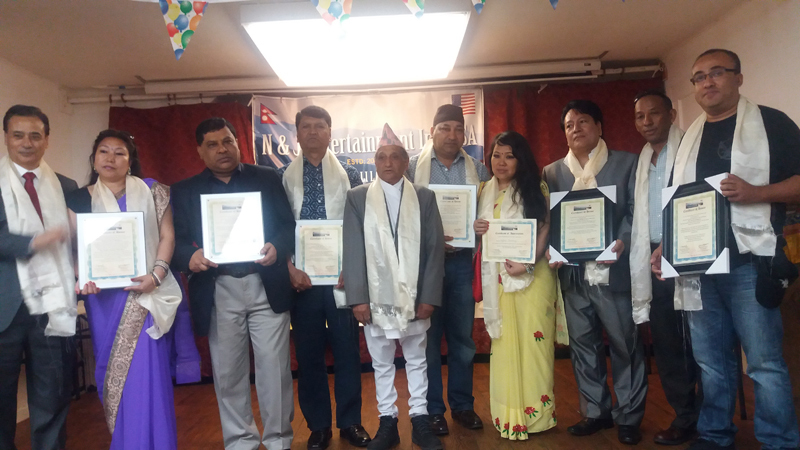 At first the Nepali and the American anthems were sung by Ms. Mili Shrestha in her wonderful Newari cultural attire called Haku Pattasi which was very much appreciated by all present in the program. The Chief Guest, Acting Consul General Mr. Krishna K. Subedi( Krishu Chhetri) , the special guest former Central President of INLS as well as senior litterateur Mr. Mohan Sitoula and the distinguished guests founder and former Nepalese Consul General in NY Mr.Narayan Mainali ,Vice Consul Mr. Prabin Bhattarai, academician Mr. Hari Bahadur Thapa, famous writer and poet Dr. Madhu Krishna Shrestha ' Madhurya', renowned singer Prakash Shrestha , famous music composer and singer Kanhaiya Singh Pariyar and his spouse singer Anjana Gurung, famous social activists Shaligram Shah, Prof. Ajaya Chhochoon and his spouse Sangita Mukhiya Chhochoon, writer Pundary Aryal and music director Om Karmacharya. 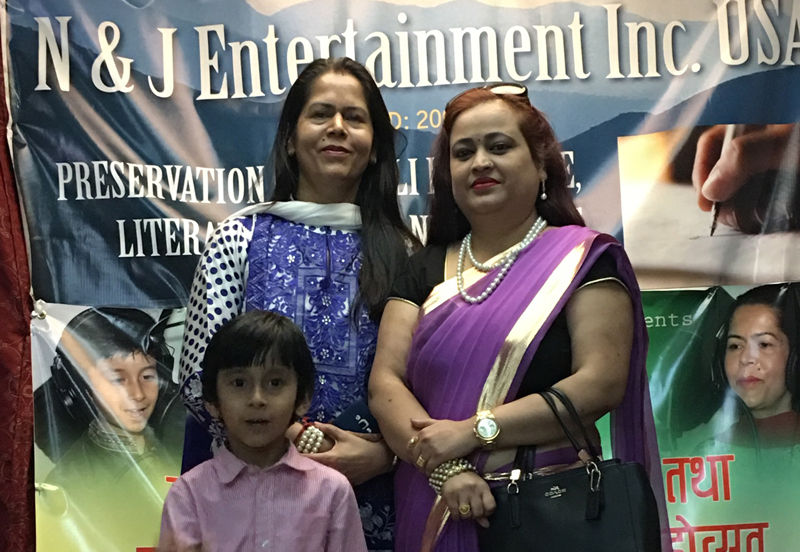 Then the music video album, 'Love You Mom' - the main attraction of the program - of a 6 yr old child Kabin Bikram Shah - the son of Kamala Prasai and Bishal Bikram Shah - was released and displayed which caught the sentiment of all the audiences as love of the boy to his parents and vice versa as well as a sense of awe and wonder as an art of singing and one of technical quality. 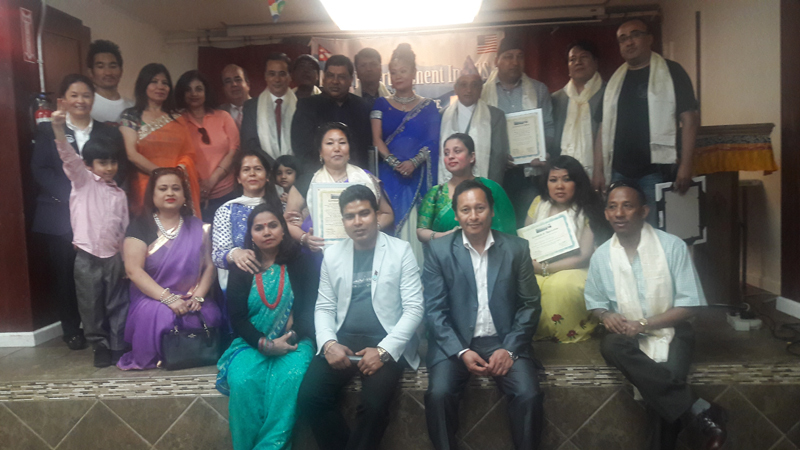 Then there was a cultural event in which Sapana Shree, Sangita, Mukhiya Chhochoon, Anjana Gurung, Basanti Rai, Ram Shrestha, Sirjana (Siru) Lama, Santa Adhikari Ghimire presented their beautiful songs really of high quality. There was also a few poetry recitals in turn with the cultural presentation when the poets Dr. Madhu Madhurya, Kunti Thapa, Prakash Basnet , Rajendra Shrestha and Mohan Sitoula took part. 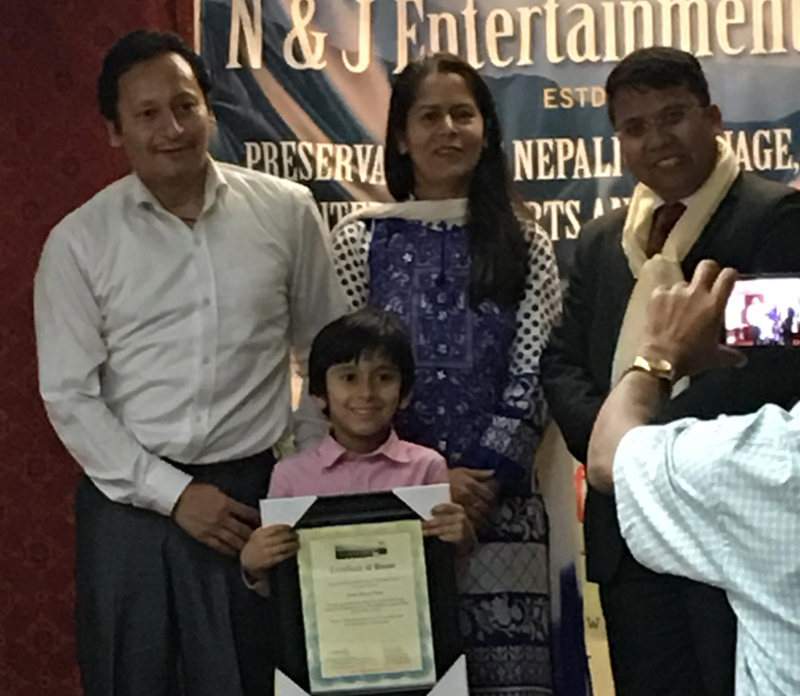 Many speakers like the chief guest Krishna K Subedi, renowned personality Dr. Kamal Pande, Mr. Mohan Sitoula, Mr. Narayan Mainali, Mr. Prabin Bhattrai, Dr. Madhu Madhurya highly appreciated the performance of the child singer Kabin Bikram Shah and the total program . 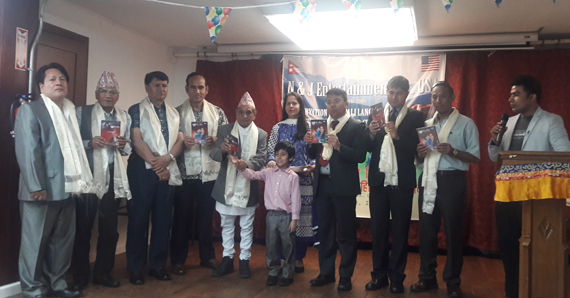 Litterateur Kamala Prasai, the President of N & J Entertainment Inc. USA, while highlighting the objectives and activities of the organization and that of the present program, gave sincere thanks and expressed her profound gratefulness to all the invitees, program supporters including Beda Maya, Suman Shah as well as Sherpa Kyidug for giving the hall. Journalist Prakash Basnet conducted the program as a master of the ceremony. The Chairperson of the program and INLS NY Chapter President Mr. Rajendra Shrestha, in his concluding remarks, highly appreciated the music video -Love You Mom- , the various performances of all concerned and the co-operation given by all for a great success, announced the closure of the program.